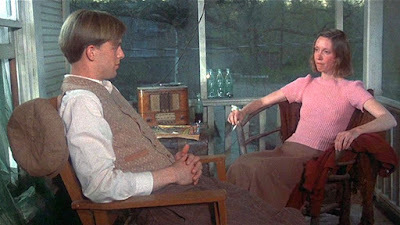 Robert Altman’s Thieves Like Us (1974) offered a continuation of the plaintive romantic theme that had underlain his earlier masterwork McCabe & Mrs. Miller (1971) – that of innocent love struggling to find itself in an uncaring American social setting. Again the evocation of an historic social milieu, on this occasion the Depression-era American South, provides an atmospheric backdrop for the melancholic romantic tale that is told. And, of course, these production values held true for Thieves Like Us, as well. The story of the film is based on Edward Anderson’s’ novel Thieves Like Us (1937), which had earlier formed the basis of Nicholas Ray’s film noir They Live by Night (1948). It concerns what happens to three men serving life sentences in the Mississippi state penitentiary who break out of prison and immediately engage in a bank-robbing spree. But a major focus of the story is on the romantic relationship of the youngest member of the gang with a girl that he meets along the way. In that sense we could say that Thieves Like Us belongs to the special thematic category of love on the run from the law, a genre which includes such classics by well-known auteurs as the already mentioned They Live by Night (1949), as well as Gun Crazy (1950), Breathless (1960), Bonnie and Clyde (1967), Badlands (1973), and The Sugarland Express (1974). Many of the films in this love-on-the-run genre place an emphasis on the romantic thrill of recklessness, usually on the part of the existential loner who is fleeing the law. But Thieves Like Us is a little different; its thematic undercurrent is that of innocence. And we must remember that in this context, innocence does not imply moral virtue, but instead simply naiveté. When innocence is not provided with socially-inspired directions or moral themes (which can even evoke heroism), it can wind up just devoting itself to escape from boredom. And that is what we have in Thieves Like Us. 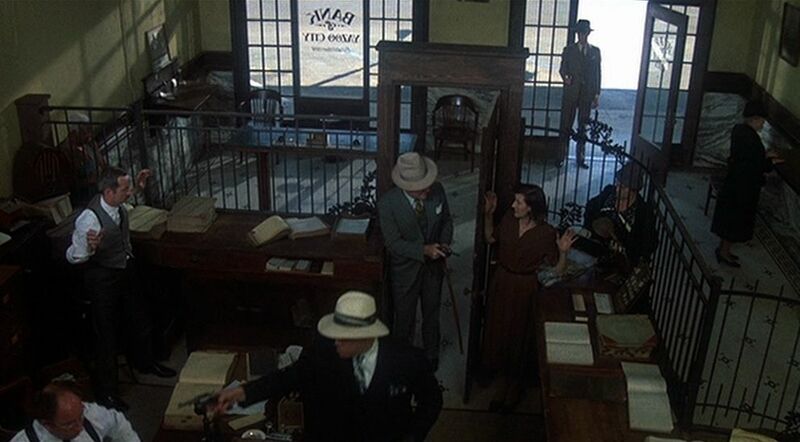 In fact Altman doesn’t provide much coverage of the dramatic bank robberies that take place in the film; they mostly take place offscreen. Instead there is more of a focus on the more humdrum and personal aspects of the thieves’ lives. Underscoring this point is another aspect of Altman’s innovative mise-en-scene – his aural presentation of dramatic radio shows in the diegetic background and on the soundtrack. Radio dramas of this period before television (1937) were generally overly histrionic presentations of simple-minded narratives intended to relieve the boredom of an apathetic public weighed down by Depression-era concerns. T. W. “T-Dub” Mason (played by Bert Remsen) is 44 and is the organizer and supposed “brains” of the gang of thieves. He seems good-natured and appears only to have gotten into bank-robbing as a profession just by chance circumstances. But he is not above killing people who block his way. Elmo “Chicamaw” Mobley (John Schuck) is 38 and is the number-2 man of the group. He is a hot-headed narcissist whose three interests in life are alcohol, women, and robbing banks. He is much more ruthless than T-Dub, and his main concern in life is being recognized as somebody important. Bowie Bowers (Keith Carradine), 23, is particularly callow and amiable, but he was convicted of murder at the age of 16. Although he is basically well-meaning, he expresses, at one point in the film, no regrets about his having entered into a life of crime. It is his innocence and that of his love, Keetchie, that is principally focalized in the film. These men are always congratulating themselves that life is special, indeed, among “thieves like us”. The story of Thieves Like Us passes through four dramatic stages. 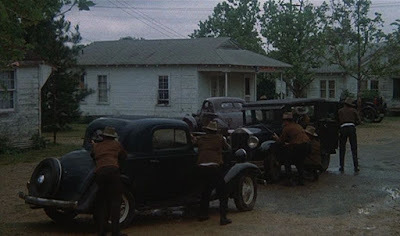 In the opening sequences T-Dub, Chicamaw, and Bowie escape from prison and make their way to hideout with Chicamaw’s cousin, Dee Mobley (Tom Skerritt), who is an auto garage mechanic living with his daughter Keetchie (Shelley Duvall). The three criminals then carry out some bank robberies, the details of which the viewer doesn’t see, because the focalization of this story is concentrated on Bowie, who is the gang’s getaway car driver waiting outside the bank. 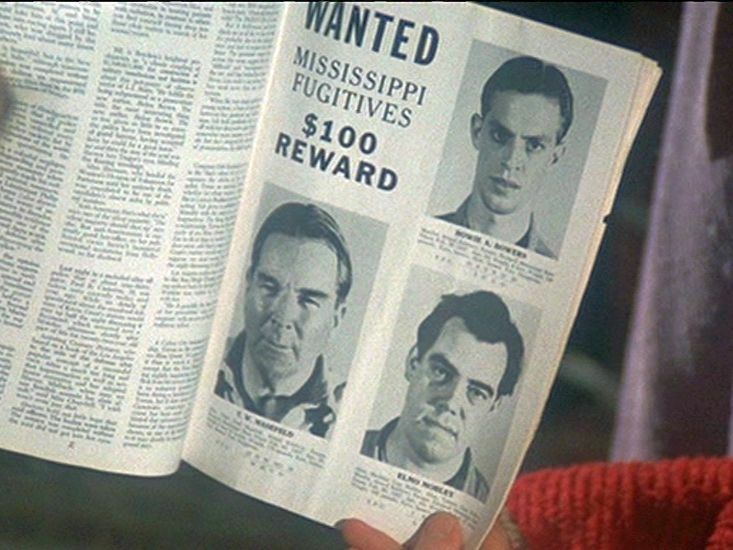 After one of the robberies, they hideout in the home of T-Dub’s sister-in-law, Mattie (Louise Fletcher). 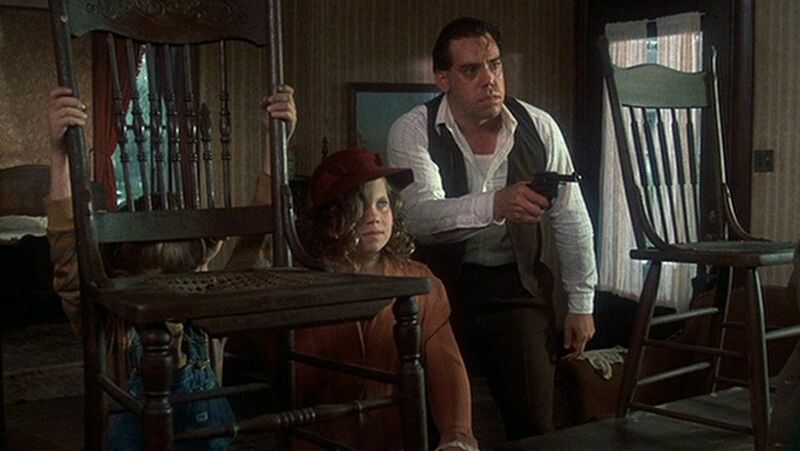 In their leisure time they decide to play a make-believe game with Mattie’s three kids, and the make-believe game they come up with is the only thing that stokes their imaginations – robbing a make-believe bank. During the game Chicamaw reveals his subconscious weaknesses by losing his temper and threatening to shoot the children with his real gun. Afterwards they all decide to lay low for a month until their next appointed bank robbery to take place in Yazoo City. On the road, with Bowie and Chicamaw driving separate cars and playfully trying to overtake each other, Bowie gets into an accident and is seriously injured. The always hot-tempered and injudicious Chicamaw comes on the accident scene and shoots two investigating police officers before whisking the injured Bowie back to his cousin Dee’s home. While recuperating in Dee’s home, Bowie gets more acquainted with Dee’s unsophisticated and artless daughter, Keetchie, and the two of them start tentatively falling in love. 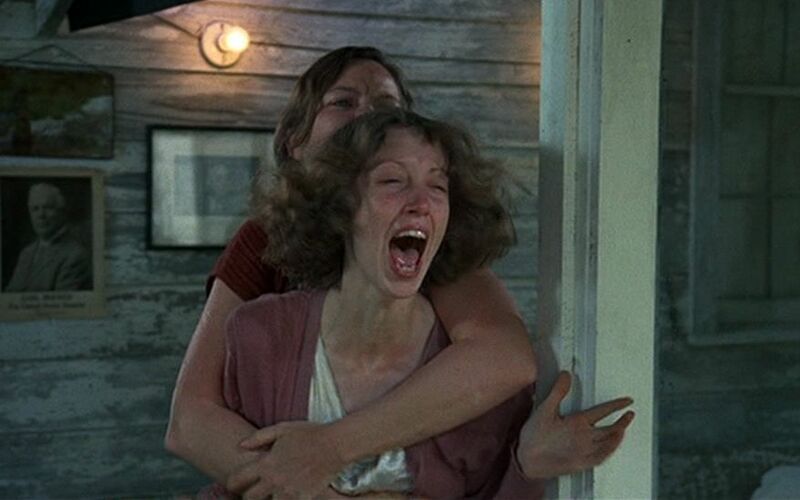 Here is innocence in the flesh, and the sensitive performances of Keith Carradine and Shelley Duvall make these sequences a highlight of the film. After time passes, though, Bowie’s appointment date approaches, and despite Keetchie’s protests, Bowie heads off to Yazoo City. This time, because Bowie is actively involved inside the bank, the robbery is shown in detail, mostly in overhead shots. Again, the robbery is successful, although T-Dub and Chicamaw fire some lethal shots at bank employees. Afterwards, they split up with a new meetup appointment set. But Bowie soon hears on his car radio that the police have shot and killed T-Dub and that Chicamaw has been imprisoned. Bowie returns to the still-pouting Keetchie, and they soon renew their avowals of true love. Bowie now takes Keetchie to a motel that T-Dub had bought with his stolen money for Mattie. Mattie is reluctant to let them stay there, but Bowie insists. Keetchie desperately wants Bowie to give up a life of crime and place their love above all such selfish considerations, but he still has at least one more secret caper to pull off. Masquerading as a cop, Bowie goes to the prison where Chicamaw is being held and manages to spring him. 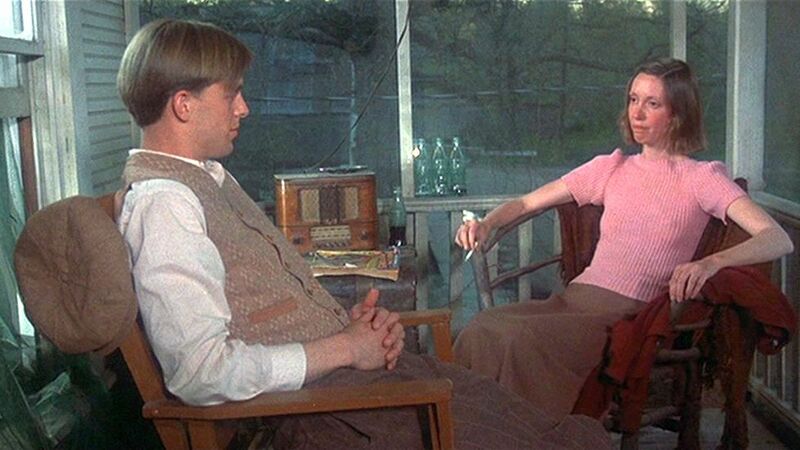 However, after the always hot-headed Chicamaw kills the prison captain and then abusively accuses Bowie of being a two-bit hick, Bowie abandons Chicamaw on the road, presumably condemning him to death. But when Bowie returns to the motel to see Keetchie, the viewer sees that he has been betrayed by Mattie, who has arranged for a squadron of policemen to ambush him. They fire a fusillade of bullets into him while the screaming Keetchie looks on helplessly in horror. The final scene shows Keetchie waiting in a train station for a long trip to Fort Worth and a new start in life. She is pregnant with Bowie’s child (Bowie never knew about her pregnant condition), but she informs a fellow waiting passenger that if the unborn child is a boy, she will not name it after the father, because he betrayed her. Thieves Like Us is a sad and fatalistic film, but it is a moving one and well worth reseeing. Although it was well-received when it was released [1,2], it is not generally ranked as a classic; but it is one of my all-time favorites. It reminds us that true love is natural and can appear anytime and anywhere. Love can bring about deliverance and redemption, but we know that it doesn’t always conquer, as was the case in this film. So we are reminded that we must not let go of those loving encounters and relationships that are so crucially important to our lives. And that is why the film is so especially poignant. Judith Christ, “Roadside Refreshment”, New York Magazine, (11 February 1974), pp. 74-75. 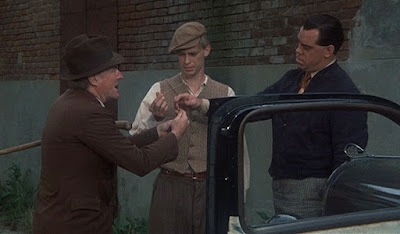 Roger Ebert, “Thieves Like Us”, RogerEbert.com, (1 January 1974).